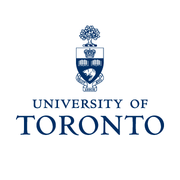 The Centre for Social Services Engineering at the University of Toronto is seeking a full-stack web developer who enjoys building modern web experiences and who wishes to be part of a team focused on the development of an on-line marketplace for social services. Design the appearance, layout and flow of the website; build effective and intuitive user interfaces; server-side scripting; database design and development. Participate in all phases of the software development lifecycle including requirements gathering, architecture, development, testing, production deployment, maintenance, and support. Assist in project management by providing accurate work estimates and developing project schedules for small projects. Create documentation to support internal system and end-user training documentation. Collaborate effectively in a team environment, sharing and brainstorming new ideas. Experience with various relational and no-relational data management technologies such as MySQL, MongoDB, etc. experience in relevant online development (e.g., Java, SQL, HTML, CSS, XML, PHP, AJAX). The ideal candidate will possess a diploma Bachelor's degree in computer science or equivalent, along with experience in analyzing, designing and developing web based projects. The incumbent must demonstrate an ability to work in a team environment, to problem solve, organize and prioritize duties, make decisions, work independently and meet deadlines.